Charter night is our club’s birthday celebration, held in October every year. The birthday party is often a themed event which is greatly anticipated by members and their partners, organised by the Club Service Committee. Kerry Murphy – Roger Hall* – Debra Bell* – Rex Merrick* – Peter Stein* – Sandy Hall* – Lynne Joseph* – Anne Tregilgas – John Visser – Turi Ngatai – Cyril Pepper – Dianne Klomp – Neil Cardno – Wayne Lee – Frank Emirali – Mark Beech – Graham Brownrigg – Len Pemberton. 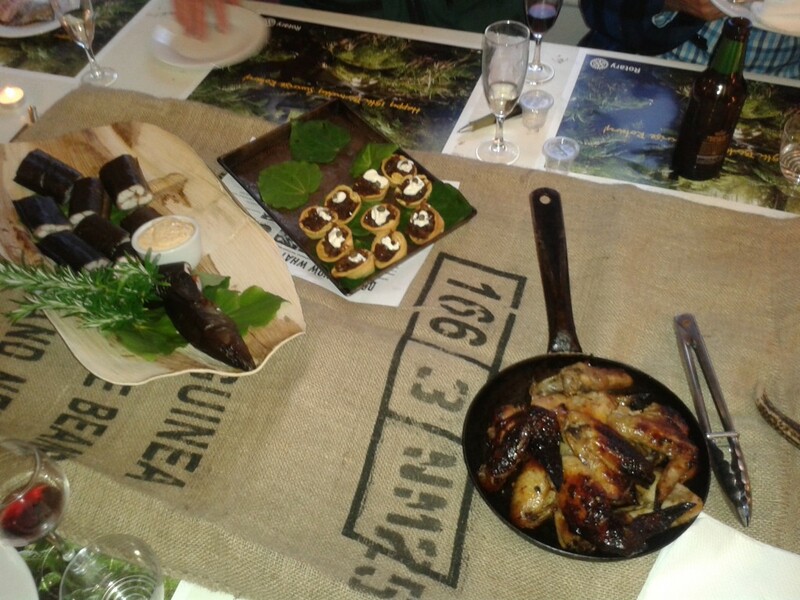 Charter Night 2013 – theme Wild Food Festival.